I saw the movie but I think audiobook is do much better than the movie. Great book! The Narrator is great!!! Second time enjoying this book. First ever audio book. I love listening to stories when Im on the go. Easy to use app to boot. The narrator wasnt my favorite for every voice but still overall great. not a fan of the voice he used to represent Saphirra and Solumbum. otherwise very well done! One of my absolute favorite book series! 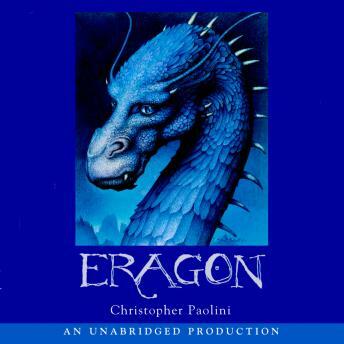 This novel kicks off an incredible journey of a boy thrust into a world beautifully portrayed by Christopher Paolini as well as the narrorater Gerard Doyle. I recommend it to anyone who enjoys a great story!